Failing septic systems and leaking underground oil tanks can be a real estate nightmare. When problems arise with these systems, the ramifications can be costly for everyone involved — property owners, realtors, and real estate attorneys alike. To remedy any issues you may have, you need a professional environmental contractor with the experience and knowledge to deal with your issues promptly and effectively. Statewide Environmental Services LLC is a full-service environmental contractor providing septic system and oil tank services for residential and commercial property owners, realtors, and real estate attorneys throughout New Jersey. Our goal is to provide efficient, expert solutions to your environmental situations. Statewide Environmental Services LLC — one contractor, start to finish! Septic system issues and underground oil tanks can negatively impact your property value. When repairs, replacements or removals are warranted, you want them done professionally and in accordance with State and local regulations. Statewide Environmental Services LLC is an experienced, dependable full-service environmental company. Every job is treated with the utmost care for the property, as we approach each site as if it were our own. As a commercial property owner, you want issues resolved quickly and efficiently. Statewide Environmental Services LLC is the one contractor you need for all your environmental issues. Our technicians are State certified; we are fully insured, covered by comprehensive liability insurance, including pollution liabilty. 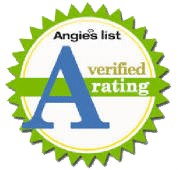 All estimates are done on-site and in-person, assuring you get the most accurate estimate possible, and all our jobs are done in compliance with applicable federal, State and local regulations, including OSHA, NJ DEP, and National Petroleum Institute’s standards. Our pricing is competitive and our service is the best. Environmental assessments are used by real estate sellers and buyers, lending institutions, and investors to assist in making informed decisions regarding the environmental condition of a property. Statewide Environmental Services LLC is a dependable, full-service environmental company specializing in real estate and insurance projects. We offer comprehensive septic system inspection, maintenance, repair and replacement services, as well as oil tank location, abandonment and removal services; soil testing, environmental surveys, and site remediation. All work is done in compliance with federal, State and local regulations.